Dad is great! | J.O. Spice Company Inc.
Is it almost impossible to find that perfect gift for Dad? Well, good thing there is a place called J.O. Spice. Inside this magical wonderland of all things that can happen within a few hours with a lot of creativity, a little bit of money and a ton of personality, there are gifts for Dad, Uncle, Brother, Pop, Pop-Pop, Granddaddy and more! Is he your #1 Dad? 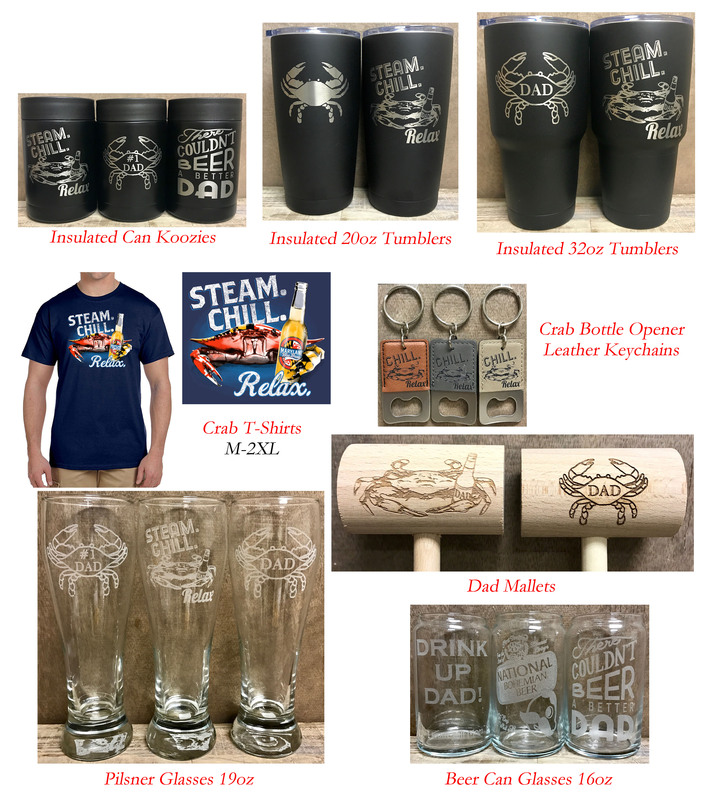 Do you love to chant, “Dad is Great!” We’ve got that covered…on a glass, a tumbler or a soon to be favorite T-shirt. Speaking of T-shirt, is there a special saying Dad quotes all the time? You could customize that on a glass. Would you like to make something special, unique and just one of a kind that no one else sells? J.O. Spice can do that. All you need to do is shop the retail store, and put in a customized glass, cutting board, tumbler, flask request and we’ll get it done. Like Us on Facebook to see all the new items that arrive daily. Creativity is constantly flowing through the crab spice so there is always something new to be found, or even better, gifted! ← Show Mom, Mother, Momma LOVE!